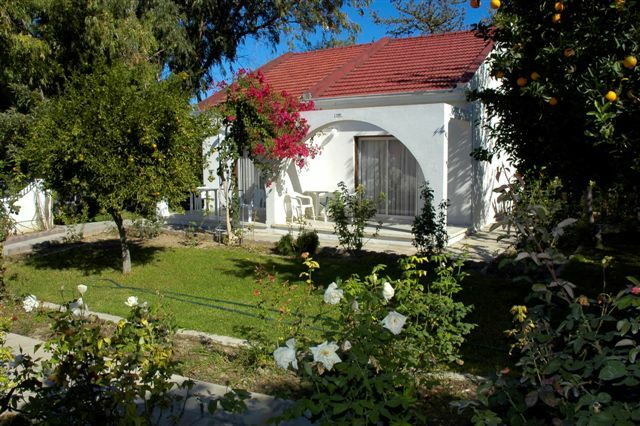 Rose Gardens is situated in the beautiful village of Lapta nine miles west of Kyrenia off the main road within only ten minutes of walking distance from the beach. A compact complex of thirtyone bungalows and eight aparments, it has a swimming pool, bar, snack bar, TV lounge and a small restaurant. For a minimal additional price breakfast is provided. 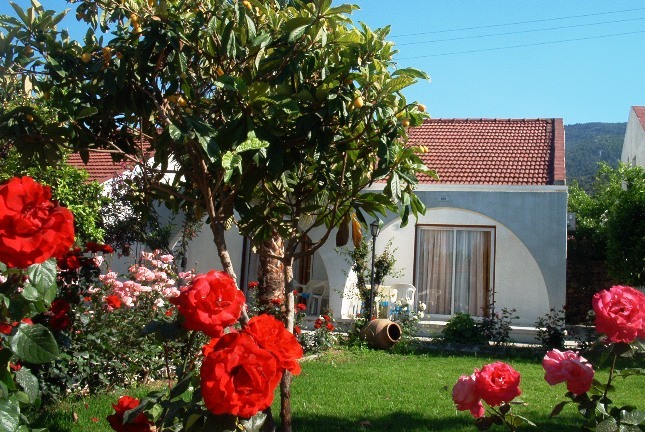 Each bungalow consists of one upstairs bedroom and two double sofa beds downstairs. 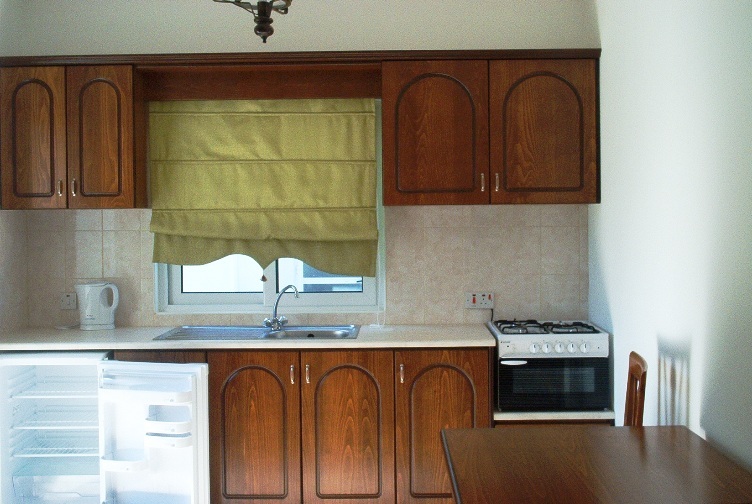 The kitchen is fully equiped including a cooker, fridge freezer and electric kettle. The bathroom has afully tiled shower and toilet. Air conditioning (Hot & Cold) completes the bungalows. All plug sockets are three pin as England. Rose gardens is a family run business. They welcome their guests as part of the family. 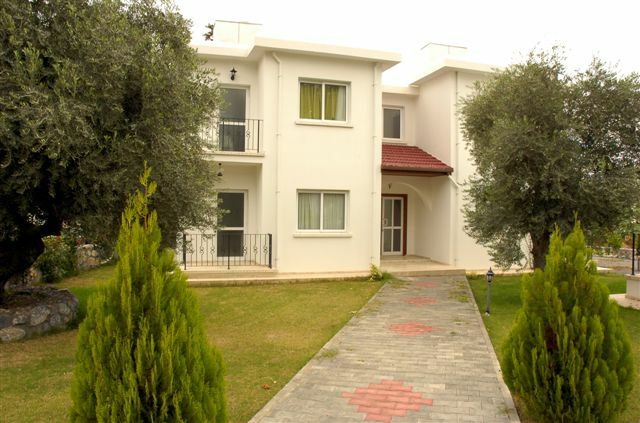 The complex is surrounded by beautiful gardens full of fragrant roses and, for those who appreciate peace and harmony, nature scenery, they will truly feel at home in Northern Cyprus.